So what does the second stage of development mean? 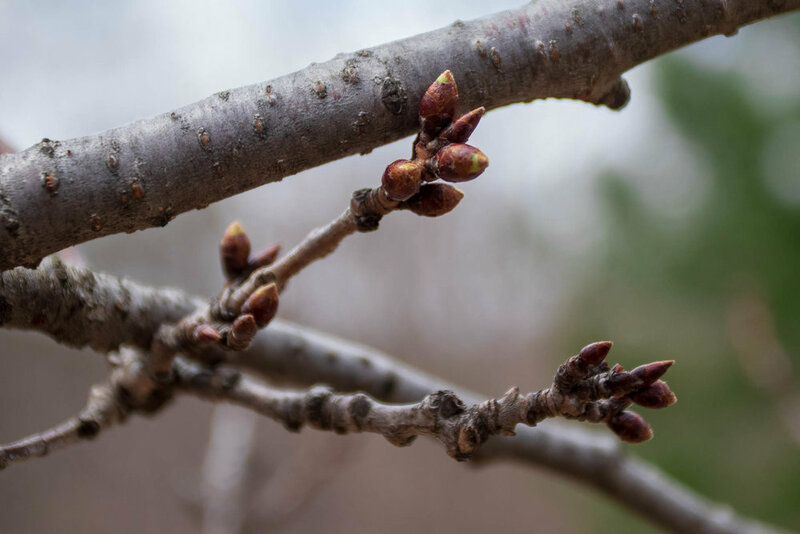 During this stage, buds will appear larger, well rounded, and display prominent green upper sections. I observed the trees near the sports fields having the vast majority of their buds showing green. This comes as no surprise, as this area has historically been the first to bloom. This, of course, is normal and we should see all the buds move into the second stage by my next visit. This area overall tends to bloom a day or so after the trees in the sports fields, so seeing them trailing a bit now in progress is what I’d expect to find. My prediction for peak bloom continues to point to late April to early May. 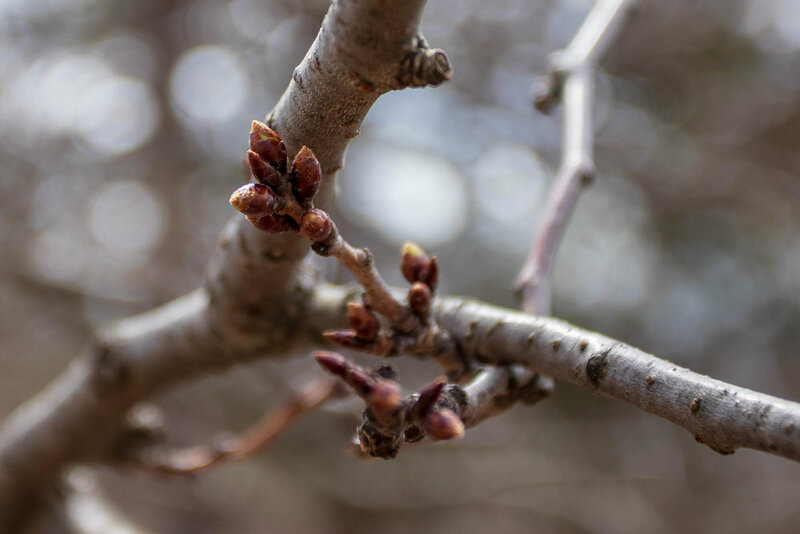 Weather will now play a crucial role in determining when to expect the blossoms to open, but the forecasts so far is still a bit up and down, making accurate predictions hard to pin down. More visits and observations are needed, but hopefully, I’ll be able to offer more accurate dates in the coming weeks. Thanks so much for visiting and watch for more updates soon!